The MK. 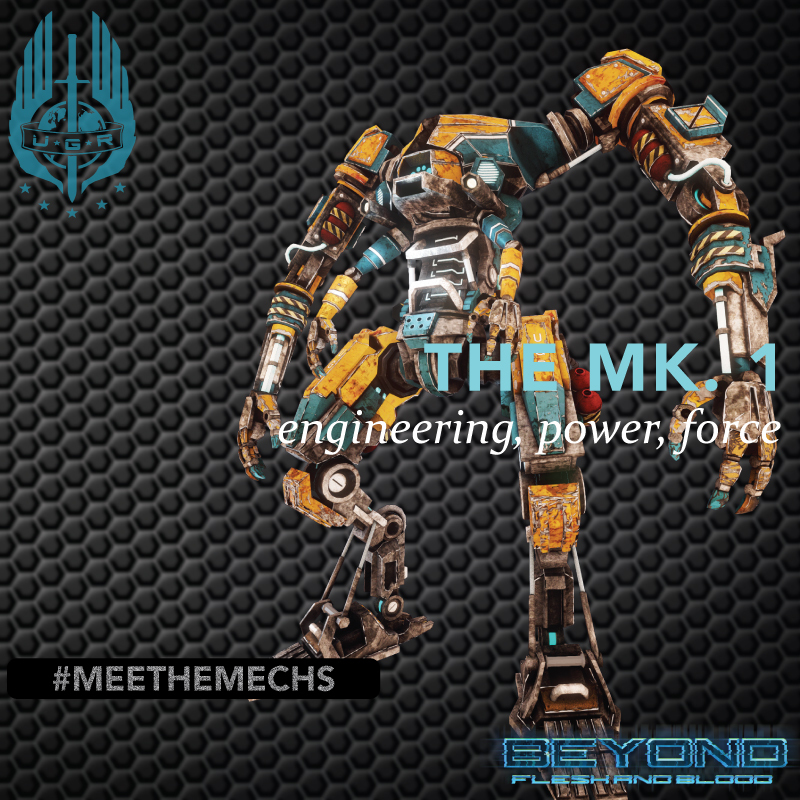 1, or 'Mark One' is the massiveweight champion of mechs in Beyond Flesh and Blood. He was built for heavy lifting, engineering - rebuilding a world after a global war for resources. However, you can use him for pure survival, when it comes to Beyond Flesh and Blood. The Mk. 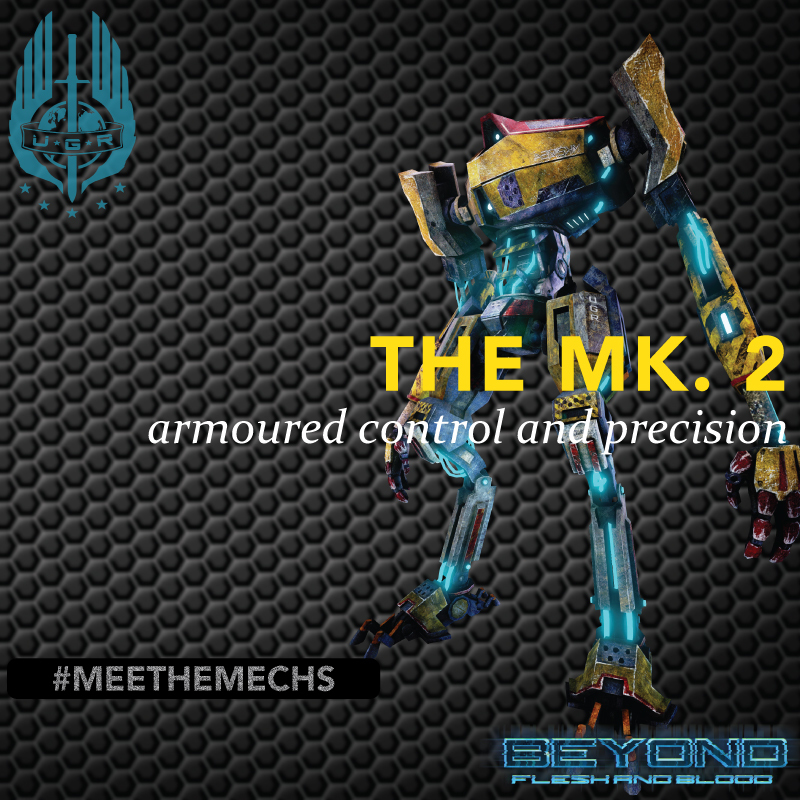 2 ('Mark Two' - you know it by now) is the 'baby brother' of the MK 1: faster, agile, precise in handling and capability.